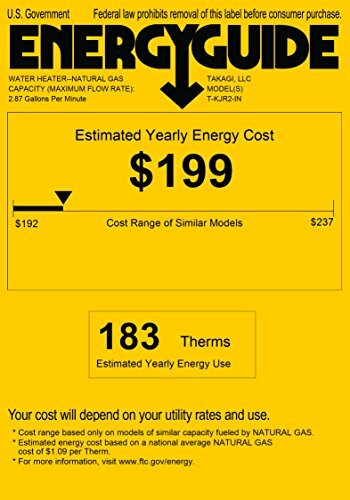 Product prices and availability are accurate as of 2019-04-08 22:58:08 EDT and are subject to change. Any price and availability information displayed on http://www.amazon.com/ at the time of purchase will apply to the purchase of this product. 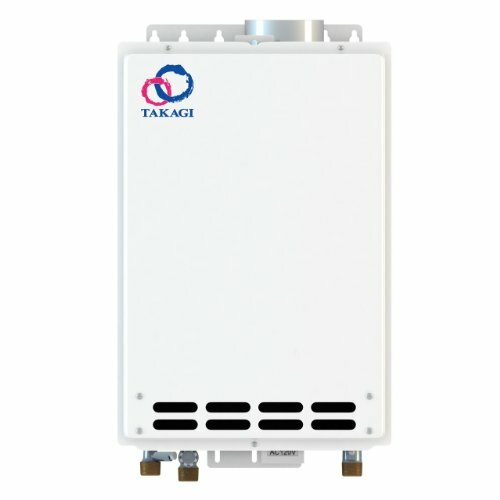 T-KJR2-INNG Features: -Tankless water heater.-Natural Gas.-Can be converted into a direct-vent unit.-Indoor installation only.-BTU/hr: 19,500 140,000.-0.82 Energy factor.-Flow rate: 6.6 GPM maximum.-Cost-efficient and environmental friendly.-Perfect for light residential and radiant heating applications.-Energy star. Dimensions: -Overall dimensions: 20.3" H x 13.8" W x 6.7" D.